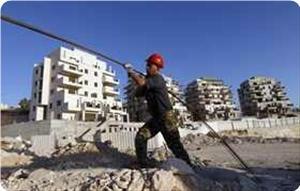 Meanwhile, Israeli authorities announced on 13 August the expansion of Gilo by approving the construction of 942 more settler homes. “This is in blatant defiance of demands by the United Nations, European Union, United States and Russia, and is, furthermore, in violation of European Union guidelines,” Handmaker stated. A Dutch firm recently decided to pull out of an Israeli settlement project in East al-Quds (Jerusalem), receiving praise from a senior United Nations expert. UN Rapporteur Richard Falk welcomed Tuesday Royal HaskoningDHV’s decision to terminate a contract to build the Kidron wastewater treatment facility that would be used for illegal Israeli settlements, according to a Press TV report. Falk also sent a message to all companies conducting business related to Israeli settlements, urging them to "follow Royal HaskoningDHV’s lead and terminate their involvement out of respect for corporate responsibility and international law,” according to the report. A European delegation is due to visit Israel on Tuesday to discuss the EU's decision regarding the settlement guidelines published in July, which prohibited any EU financial cooperation with any Israeli entities situated beyond the pre-1967 lines, including east Jerusalem. 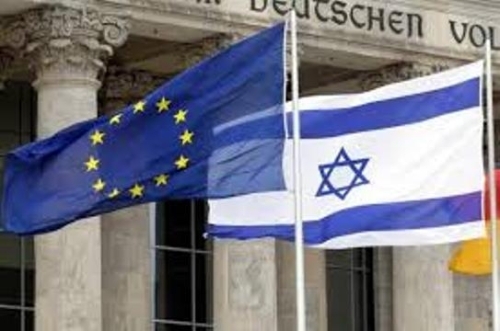 The Jerusalem Post reported Tuesday that two senior EU diplomats will meet with high level officials in the Foreign Ministry to try to reach "understandings" on the implementation of the EU settlement guidelines in order to enable Israel to continue to participate in EU programs. On Monday, PLO Executive Committee Member, Dr. Hanan Ashrawi called the EU to "maintain their own policies and to stand by their guidelines. Weakening, delaying or cancelling the guidelines can only take us further from a just and lasting peace." European sources ruled out that these restrictions, which were supposed to be implemented at the beginning of October, would be canceled. Israel said that this issue will be discussed during the next meeting between Israel and the EU, which is scheduled for Thursday in Brussels. 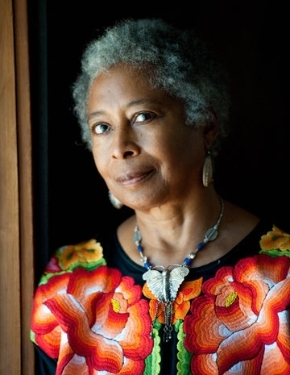 Three weeks ago, the University of Michigan’s Center for the Education of Women (CEW) “disinvited” Alice Walker from speaking at its 50th Anniversary celebration. Walker, a Pulitzer Prize winner and world-renowned writer, was informed by her agent that the CEW withdrew its invitation because donors to the department took issue with some of Walker’s comments regarding Israel. Almost immediately after the disinvitation was publicized, the University of Michigan sprang into action. Gloria Thomas, the Center’s director, issued a statement claiming that donor pressure had nothing to do with the decision to disinvite Walker and affirmed the University’s commitment to academic freedom. Thomas took the position that Walker was not the “optimum choice” for a celebratory event and disclosed that she was working with other departments to “reinvite” Walker to speak, although careful reading made it clear that Walker would not be asked to speak at the CEW anniversary celebration. Walker has now been invited to speak at the University of Michigan’s annual Zora Neale Hurston Lecture on behalf of the Department of Afroamerican and African Studies (DAAS) and the CEW. Walker has graciously accepted the invitation. This is not the first time that the University of Michigan has succumbed to pressure and silenced pro-Palestinian voices. In 2007, the University of Michigan shamelessly abrogated its distribution contract with Pluto Press for the purpose of halting distribution of Professor Joel Kovel’s provocative book titled,Overcoming Zionism, in response to pressure from two Zionist organizations, StandWithUs and the Anti-Defamation League. The loud public outcry against university-sponsored censorship of an anti-Zionist perspective compelled the Board of Regents to rescind the contract cancellation. What many people don’t know is that when the Pluto Press contract expired, the University quietly refrained from renewing it – a nonevent that received no media attention. 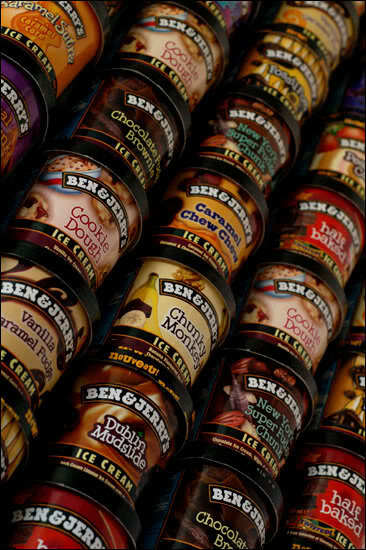 More than 150 civil society organizations in the United States and worldwide signed a letter to the American ice cream company’s Ben & Jerry’s CEO, Jostein Solheim, urging the company “to stand by its Social Mission and to ensure that its products are not sold, catered and distributed in Israeli settlements” in the occupied West Bank, including East Jerusalem, a press release said Monday. VTJP launched an international campaign in March calling on Ben & Jerry’s to end its commercial complicity with Israel’s occupation and settlement regime. Member of the Executive Committee of the Palestine Liberation Organization Yasser Abed Rabbo Monday criticized attempts by US Secretary of State John Kerry to convince Europe to postpone a decision on boycott of Israeli settlement products, saying that Israel is using the negotiations to avert action against it. “Israel is trying to benefit from the negotiations to pressure Europe to cancel the boycott (of settlement products),” he said on Voice of Palestine. He said the negotiations have not made any progress on the ground and that all Israel wants is that no one says anything about its settlements and other activities that violate the rights of the Palestinian people. “There are no signs of progress (in the negotiations),” said Abed Rabbo. “There is progress only in the settlements and in the violations, but not in the negotiations that can cause us to say that US efforts have achieved any real results on the ground or in the peace process,” he said. 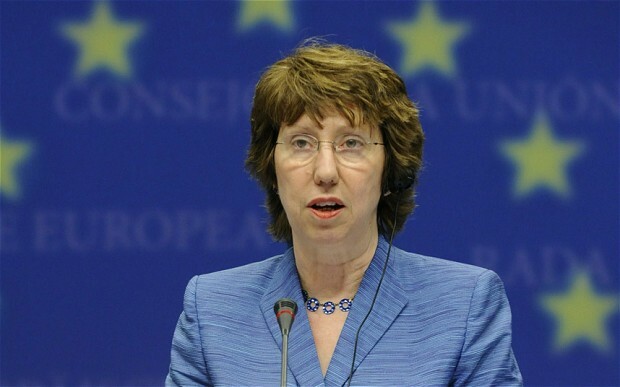 Baroness Ashton, the EU's foreign policy chief, has signalled a possible compromise following American pressure to end a row with Israel over rules barring the funding of Jewish settlements in occupied Palestinian lands. She told journalists that the ban - which came into force in July - would be implemented “sensitively” to minimise the damage to EU-Israel relations. The pledge came after John Kerry, the US secretary of state, reportedly pressed the EU to suspend the funding boycott, saying it could harm the prospects for recently renewed peace talks between Israeli and Palestinian negotiators. Mr Kerry told EU foreign ministers to “find a way to embrace the negotiators and encourage them to move forward, rather than, as it were metaphorically, bang them over the head”, a US state department official told Reuters. “There was strong support for [Mr Kerry’s] efforts and an openness to considering his requests,” the official said. Mr Kerry’s intervention drew criticism from Hanan Ashrawi, a senior member of the Palestine Liberation Organisation’s executive committee. “Reports of US lobbying the EU on behalf of Israel are extremely discouraging and cast serious doubts on the US mediation role,” she told the Jerusalem Post. 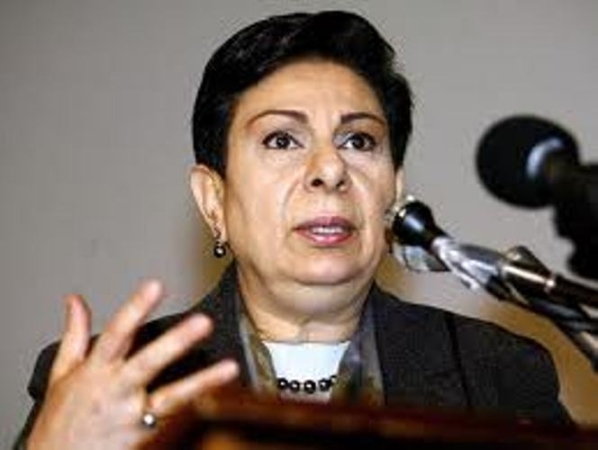 PLO Executive Committee Member, Dr. Hanan Ashrawi, expressed her deep concern at reports that the European Union is being asked to withdraw a recently announced set of guidelines prohibiting grants, prizes and financial instruments from being awarded to Israeli entities situated within the Occupied State of Palestine. "The announcement of the EU Guidelines was a very positive step which played a significant role in the decision to resume negotiations. By refusing to extend grants and awards beyond the Green Line, these guidelines reinforce the 1967 border and play a constructive role in reaffirming the two-state solution, something which can only help the cause of peace." "Reports of US lobbying the EU on behalf of Israel are extremely discouraging and cast serious doubts on the US mediation role. Once again the US is using the negotiations process to grant Israel immunity and to buy it more time to create facts on the ground, thereby rendering the so-called "peace process" a self-defeating exercise." Dr. Ashrawi added. "These guidelines are a natural translation of the EU's clear policy on Israel's illegal settlement enterprise and the result of the full and effective implementation of the EU's own laws. 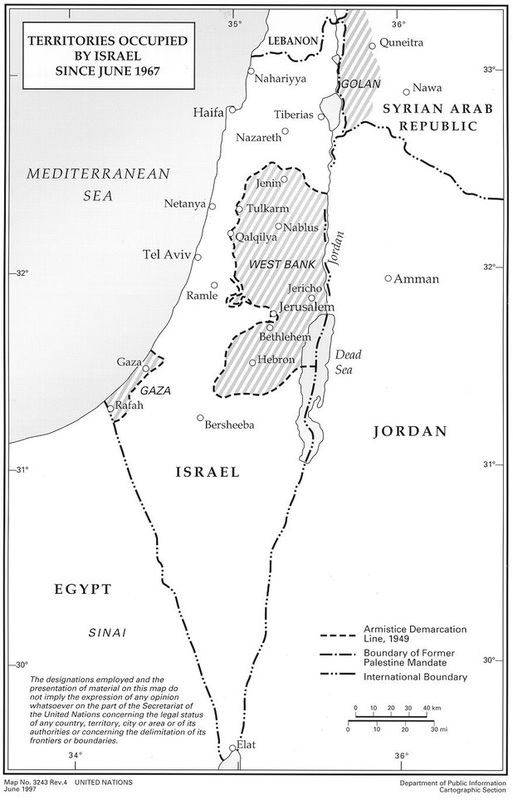 Two states on the 1967 border is a solution based on the UN recognition of the State of Palestine and endorsed by the entire international community, including the U.S. and the E.U." Dr. Ashrawi concluded,"We look to the EU to maintain their own policies and to stand by their guidelines. Weakening, delaying or cancelling the guidelines can only take us further from a just and lasting peace." 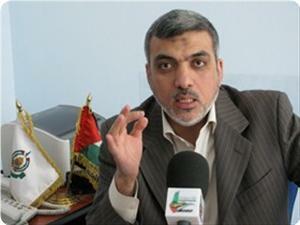 Political bureau member of Hamas Ezzet Resheq has strongly denounced US secretary of state John Kerry’s call on the European Union to shelve the ban on financial assistance to Israeli settlements. Resheq said on his Facebook page on Sunday that Kerry’s call on Saturday reflected flagrant bias in favor of Israel. He said that the call was rejected since it encourages Israel to continue in its wars and crimes against the Palestinian people, land, and holy shrines. Resheq said that Kerry’s words were a reminder to those racing to negotiations that the American administration was absolutely biased in favor of Israel and was not and would not be a fair mediator and that its prime concern was preserving Israel’s security and interests. According to the new EU guidelines on settlements, any funding or financial investment, and/or granting of stipends, scholarships or prizes by EU agencies or foundations to Israeli groups connected directly or indirectly to the settlements (in the occupied West Bank, eastern Jerusalem, and Golan Heights) will be banned. The quadrant of Douar Mustapha, Bouzlifa Seif Islem, Semmar Brahim, and Dounayib Nazim decided not to play against Israel’s team in the eighth finals of World Championship which took place in Toulouse, Algerian sport website reported. Qatar faulted Israel for building Jewish settlements on Sunday after US Secretary of State John Kerry briefed Arab diplomats in an effort to garner support for nascent Israeli-Palestinian peace negotiations. The comment by Qatari Foreign Minister Khaled al-Attiya, while consistent with long-standing Arab positions, may have been less than what Kerry might have hoped for as he seeks to build momentum for the talks which resumed on July 29. "There are obstacles," al-Attiya said through an interpreter at a news conference in Paris with Kerry after the US secretary of state met the foreign ministers of Bahrain, Egypt, Jordan, Saudi Arabia, the United Arab Emirates and other Arab officials. "We are talking about settlements," he added. "Each time a round of negotiations is supposed to start, it's preceded by a declaration of continued settlements or the announcement of the establishment of new settlements and this is a source of concern for us and directly affects the negotiations." Kerry, who is to meet with Palestinian President Mahmoud Abbas over dinner in London, said it was vital that all sides, including the Arab world, offer support to both parties as they try to make peace. "This meeting is almost as important as the negotiations themselves because the Arab League and the Arab community's support for a final status agreement is essential to the achievement of that agreement," Kerry told reporters. "It is a critical component in creating momentum, and energy and seriousness of purpose in these talks," he added. The resumption of Israeli-Palestinian peace talks after a nearly three-year hiatus is one of Kerry's major achievements since taking office on Feb. 1, but it is unclear if they have made any progress. US officials have refused to provide any information about the substance of the talks, declining even to say how many times Israeli and Palestinian negotiators have met since the talks began. Kerry publically reiterated his private call on the European Union on Saturday to postpone a planned ban on EU financial assistance to Israeli organizations in the occupied Palestinian territories, saying this would help the talks. The EU imposed restrictions in July, citing its frustration over the continued expansion of Jewish settlements in territory captured by Israeli forces in the 1967 Middle East War. The guidelines render Israeli entities operating in the occupied territories ineligible for EU grants, prizes or loans, beginning next year. They angered Israel's rightist government, which accused the Europeans of harming Israeli-Palestinian peace efforts and responded by announcing curbs on EU aid projects for thousands of West Bank Palestinians. Palestinians praised the guidelines as a concrete step against settlement construction on Israeli-occupied land, which they fear will deny them a viable state. On Saturday, EU foreign policy chief Catherine Ashton said the EU would send a team, headed by a senior EU diplomat, to Israel on Monday to make sure the implementation of the new guidelines was done sensitively. "We of course want to continue having a strong relationship with Israel," she said. Jewish settler leaders say the aid they receive from Europe is minimal. But many in Israel worry about possible knock-on effects the EU steps may have on individuals or companies based in Israel that might be involved in business in the settlements, deemed illegal by the international community. UDEA, a wholesaler which also operates some 60 EKOPLAZA organic food stores in the Netherlands, boycotts produce from Israeli settlements. The Dutch Palestinian solidarity group docP reports that one of its contacts corresponded with UDEA on the question of Israeli settlement products in EKOPLAZA stores. UDEA wrote her that " while EKOPLAZA does have a limited assortment of Israeli products, its policy is not to stock products from the Occupied Palestinian Territories. For this it requires written agreements with its suppliers." EKOPLAZA later confirmed this in writing to docP that "The response we gave to our customer is indeed correct and we continue to carry this out. In this question we work in conformity with EU legislation." Holland’s largest engineering firm has decided to pull out of a project planned to be established in the eastern part of the city of Jerusalem. Haaretz reported that Dutch infrastructure giant Royal HaskoningDHV announced Friday that it has decided to withdraw from a project it planned with the Israeli Jerusalem municipality, because it was to be built beyond the Green Line. Two weeks ago, the Dutch government has asked the company, Holland’s largest engineering company, to rethink its participation the sewage treatment plant because the project was based on the Palestinian side of the 1967 border, and that this would violate international law, the Hebrew newspaper said. In June 2013, the European Union sent new instructions to all EU countries, prohibiting the financing of, or the investment in, Israeli settlements established on Palestinian lands occupied in 1967. PLO Executive Committee member Hanan Ashrawi applauded Friday a decision by the Dutch engineering firm, Royal HaskoningDHV, to terminate its involvement in an illegal Israeli project in occupied East Jerusalem. “Royal HaskoningDHV has emphasized that it conducts its work with the highest regard for integrity and in full compliance with international law and regulations,” said Ashrawi. The firm reviewed its involvement in designing the plant after the Dutch government discouraged it from aiding Israeli settlements and Palestinian organizations fiercely criticized the project. The project is still in its planning stages. This has led to the decision of Royal HaskoningDHV to terminate its involvement. Yesterday, the head of the Palestinian Water Authority (PWA), Shaddas Attili, made clear Palestinian opposition to the construction of an Israeli sewage plant in East Jerusalem. In a statement, Attili noted that while Israel is determined to proceed with a sewage plant to benefit Israeli settlers in East Jerusalem, it has refused to approve vital santitation and environmental projects for Palestinians. According to Attili, 30 sewage projects have been submitted for approval by the Joint Water Committee — a body consisting of Israelis and Palestinians handling water issues in the West Bank — since 1995. Yet only four of these schemes have been given the go-ahead by Israel. 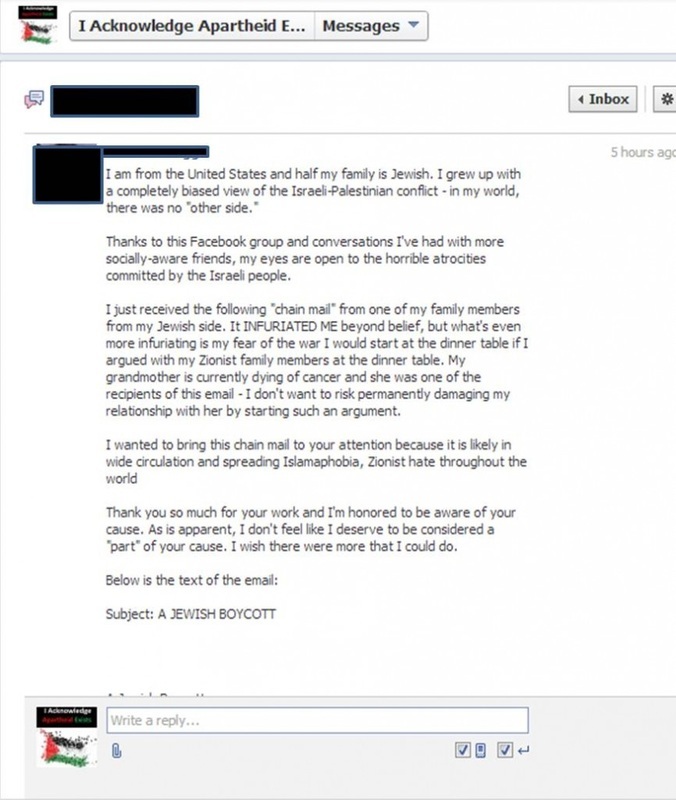 This letter was sent to us by a fan who happens to be Jewish; you can see her comments at the end of this message. Let me just give you my thoughts on this letter. People who are boycotting Israel are not boycotting the whole of the Jewish population. There has been an intentional conflation that an attack on Israel is an attack on Judaism. There are a whole host of Jews who support the boycott of Israel (myself included) and that does not also include the local business which may be owned by a member of the tribe. So this is a dishonest argument intended to deflect from a growing list of human rights violations and war crimes against the Palestinian people. And too many people unfamiliar with the reality of what’s happening in Palestine believe it. Neither of those doctors however were Israelis; at the time of their innovations – Israel would not come to exist for several decades. Their Jewishness wasn’t the problem. People protesting Israel are protesting ethnic cleansing, apartheid and institutional racism and discrimination. And to minimize those crimes against humanity by saying “Yeah – but look at all our technological innovations” is downright insane. The Nazis developed the missile, started the largest highway system in the world at that time, made significant advances in the study of hypothermia and other medical areas (source); could you even imagine anyone trying to minimize the war crimes of the Nazis by pointing to their technological innovations? No because that would be insane. And that’s the gist of the argument here. Then the letter goes on to draw a parallel between Jews and Muslims painting the 1.4 billion Muslims on this planet as being a bunch of Jihadi terrorists actively plotting to drink the blood from little Jewish babies. And mixed in with the misinformation and misdirection are lies. They say: “The Jews are NOT promoting brainwashing children in military training camps”. I guess this doesn’t count as brainwashing HERE. It isn’t like Israel was founded on terrorism or anything. You can read about a whole host of acts of terrorism committed by members of the tribe HERE. Despite the fact that many churches have been attacked by Israeli Jews; they burned down this church HERE. 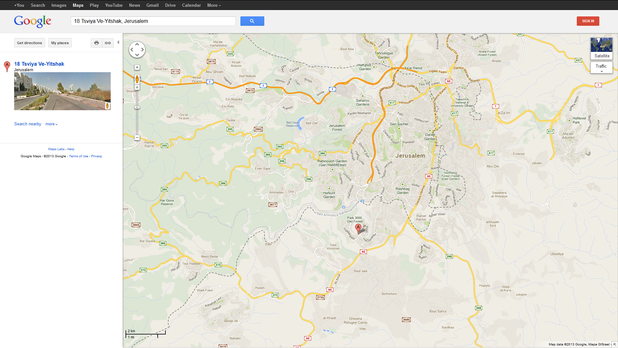 And there is this monastery that had “Death to Gentiles” spraypainted on its wall defacing it (source). Except there have been MANY killings by Jewish people in protest of any number of things. That includes the assassination of Israeli Prime Minister Yitzhak Rabin who was murdered by a Jewish man (source). Try telling a Palestinian that Jews don’t kill people to protest and they’ll look at you like you’re crazy. As far as leaders calling for death to infidels … actually not true. Rabbi Ovadia Yosef is a spiritual leader in Israel and he said non-Jews have no reason to live other than to serve Jews HERE. Rabbi Dov Lior said it was perfectly fine to kill non-jewish babies because they would end up like their parents and after action was taken against him – 70 Rabbis came out in protest to support him (source). A short time ago, Iran’s Supreme Leader Grand Ayatollah Ali Khamenei urged the Muslim World to boycott anything and everything that originates with the Jewish people. “Any Muslim who has Syphilis must not be cured by Salvarsan discovered by a Jew, Dr. Ehrlich. He should not even try to find out whether he has Syphilis, because the Wasserman Test is the discovery of a Jew. If a Muslim suspects that he has Gonorrhea, he must not seek diagnosis, because he will be using the method of a Jew named Neissner. 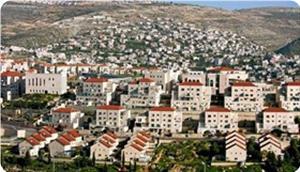 Three Palestinian and one US-based civil society organization have urged Norway’s Ministry of Finance to reinstate a prohibition on investment by Norway’s Government Pension Fund Global in two Israeli companies – Africa Israel and its subsidiary Danya Cebus – due to their ongoing construction of homes in Israeli settlements, a press statement by the groups said Thursday. The call was made in a letter signed by representatives from the Palestinian Boycott, Divestment and Sanctions National Committee (BNC), Adalah-NY: The New York Campaign for the Boycott of Israel, The Civic Coalition for Palestinian Rights in Jerusalem, and The Palestinian Anti-Apartheid Wall Campaign, and emailed to Norway’s Council on Ethics on Wednesday. 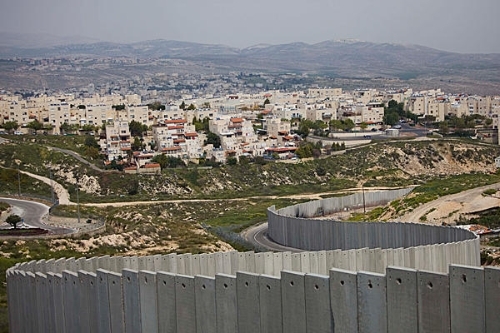 The organizations believe that Norway’s August 2013 decision to lift the ban was based on misleading information provided by Africa Israel, denying current settlement construction. “We are writing to express our concern that Norway’s Ministry of Finance has lifted its 2010 ban on investing funds from Norway’s Global Pension Fund in the Israeli company Africa Israel and its construction subsidiary Danya Cebus,” said the letter. “The lifting of the ban was based on April 2013 statements by Lev Leviev’s company Africa Israel falsely suggesting that the company was not involved in the construction of illegal Israeli settlements in occupied Palestinian territory. However, as the Israeli civil society Coalition of Women for Peace’s Who Profits project yet again documented with photos, video and a pamphlet immediately after learning of Norway’s decision, Africa Israel and Danya Cebus are currently building homes in the illegal Israeli settlement of Gilo. 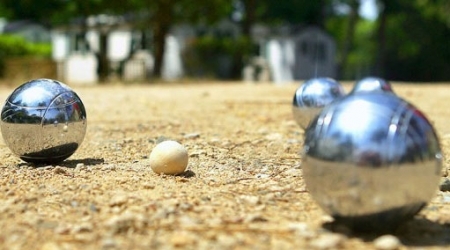 They have been doing so for more than two years,” it added. Additionally, another Leviev-owned company, Leader Management and Development, continues to develop the Israeli settlement of Zufim on the land of the Palestinian village of Jayyous in the West Bank, and Leviev has donated to settlement organizations. They said the Norwegian Council on Ethics has failed to consult with Palestinian civil society organizations before making its decision. 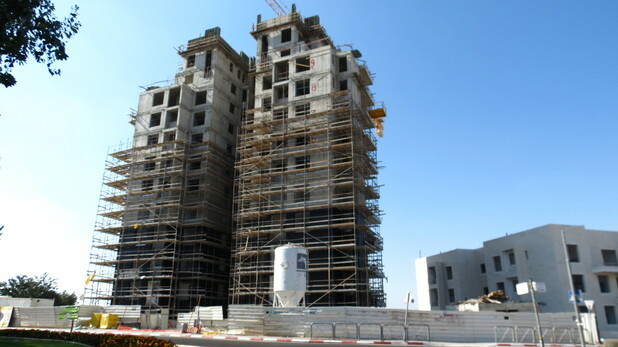 The group said this declaration was misleading because in October 2010, Africa Israel had announced that it would be building “121 five-room apartments in three buildings of 10-11 stories each, a fourth building with 12 stories, and a two-level parking garage” in the settlement of Gilo. Palestinian Liberation Organization (PLO) executive committee member Hanan Ashrawi stated that the Palestinian Authority (PA) has repeatedly expressed its “strong objection” to the project to Royal HaskoningDHV and the Dutch government. No permission for Palestinian sewage treatment plant The Joint Water Committee (JWC) - consisting of Israelis and Palestinians - oversees and authorizes water projects in the occupied West Bank, excluding the Israeli settlements. Israel, as the occupier, has a right to veto decisions concerning Palestinian water projects in the JWC. In 2010, the Palestinian Water Authority asked the JWC for permission to build a sewage plant in Ubeidiyeh to treat all wastewater flowing from East Jerusalem and Bethlehem into Wadi al Nar (Kidron Valley), excluding the settlements. The treated water would be used for the development of Palestinian agriculture. 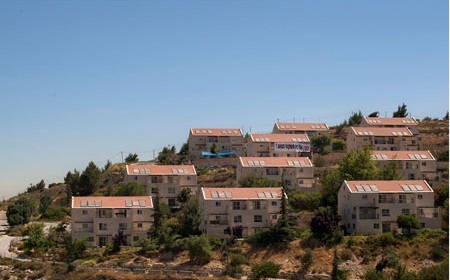 Boost for settlements in Jordan Valley The Civic Coalition on Palestinian Rights in Jerusalem, comprised of 25 community organizations, also welcomed the Dutch government’s advice to Royal HaskoningDHV to withdraw from the unlawful project. After pro-Palestinian groups at several schools within the University of California system were accused of 'anti-Semitism', the U.S. Department of Education launched an investigation. This week, they released the findings of their months-long investigation, announcing that the accusations of anti-Semitism were without merit, and that the accusations may have been attempts to stifle free speech on campus. 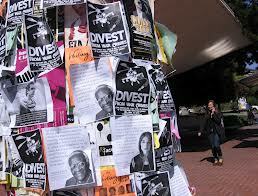 Civil rights organizations this week welcomed news that the Department of Education's (DOE) Office for Civil Rights (OCR) has closed three investigations against three University of California schools, at Berkeley, Santa Cruz, and Irvine, which falsely alleged that Palestinian rights activism created an anti-Semitic climate. The complaints underlying the investigation claimed that student protests and academic programing in support of Palestinian rights and critical of Israel "created a hostile environment for Jewish students."